The firm is currently offering Bard transvaginal mesh lawsuit evaluations to women who allege that they sustained injuries from vaginal mesh implants. New York, NY - November 1st, 2013 - Bard transvaginal mesh lawsuits in federal court in West Virginia are progressing, but there has been a schedule change in the monthly status conferences, according to court documents. The Rottenstein Law Group LLP, a mesh law firm, notes that Judge Joseph R. Goodwin ordered the Nov. 7 meeting cancelled, and that proceedings would resume on Dec. 5. Some trials for the Bard multidistrict litigation have already occurred, according to court documents (C. R. Bard, Inc., Pelvic Repair System Products Liability Litigation; MDL-2187, U.S. District Court for the Southern District of West Virginia). The first bellwether trial resulted in an Aug. 15 $2 million jury award to the plaintiff, according to court documents. The next trial is scheduled for Dec. 3. Bard, American Medical Systems, Coloplast, Cook Medical and Boston Scientific are five major mesh manufacturers who are considering settling tens of thousands of mesh lawsuits across the nation, according to a Sept. 30 Bloomberg report. Johnson & Johnson’s Ethicon is reportedly not a participant in the talks, the article said. Women are filing transvaginal mesh lawsuits alleging they suffered from serious adverse side effects such as pain, discomfort and device erosion, according to court documents. Vaginal mesh products are intended to allow doctors to treat pelvic organ prolapse and stress urinary incontinence. 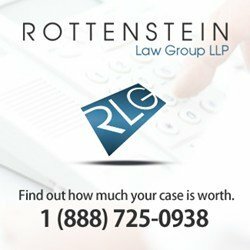 The Rottenstein Law Group LLP encourages those who believe they have suffered from the alleged side effects of their vaginal mesh implants to visit the firm's transvaginal mesh lawsuits FAQ page to learn about vaginal mesh compensation and settlements and lawsuits. For updates on lawsuit news, visit RLG's transvaginal mesh Facebook page. Yanks Win 2 Out've 3 in Subway Series Against Mets in Tuesday's Sports Update! Subject: LongIsland.com - Your Name sent you Article details of "Transvaginal Mesh Lawsuits Update: Bard MDL Status Conference Schedule Changes, Rottenstein Law Group LLP Reports"